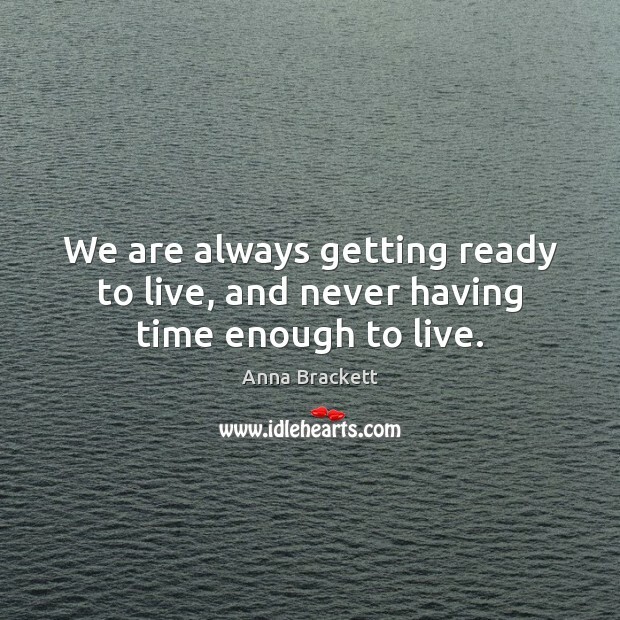 Enjoy the best inspirational, motivational, positive, funny and famous quotes by Anna Brackett. Use words and picture quotations to push forward and inspire you keep going in life! 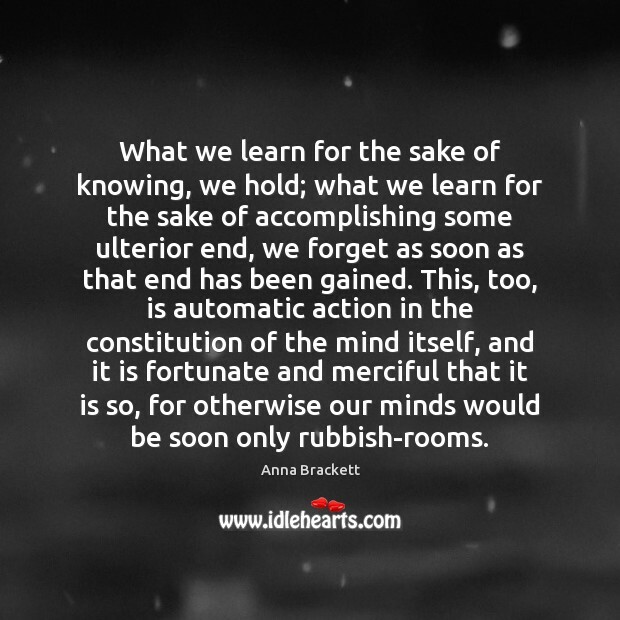 What we learn for the sake of knowing, we hold; what we learn for the sake of accomplishing some ulterior end, we forget as soon as that end has been gained. This, too, is automatic action in the constitution of the mind itself, and it is fortunate and merciful that it is so, for otherwise our minds would be soon only rubbish-rooms. History in the making is a very uncertain thing. It might be better to wait till the South American republic has got through withits twenty-fifth revolution before reading much about it. When it is over, some one whose business it is, will be sure to give you in a digested form all that it concerns you to know, and save you trouble, confusion, and time. 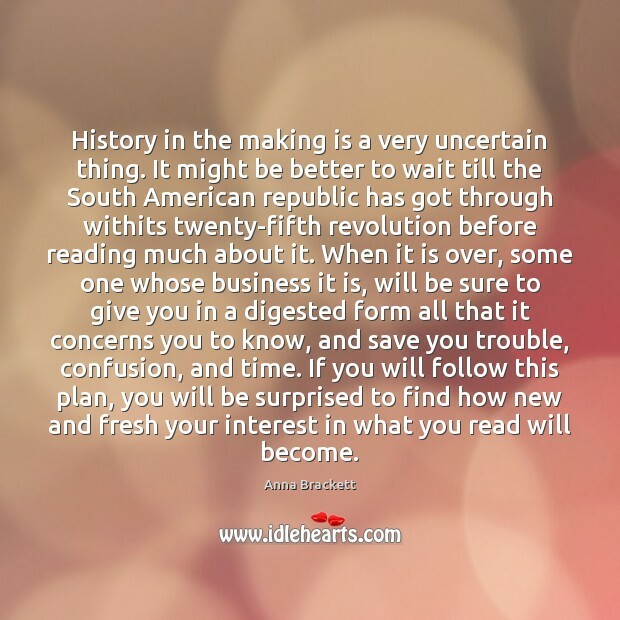 If you will follow this plan, you will be surprised to find how new and fresh your interest in what you read will become. We are always getting ready to live, and never having time enough to live. 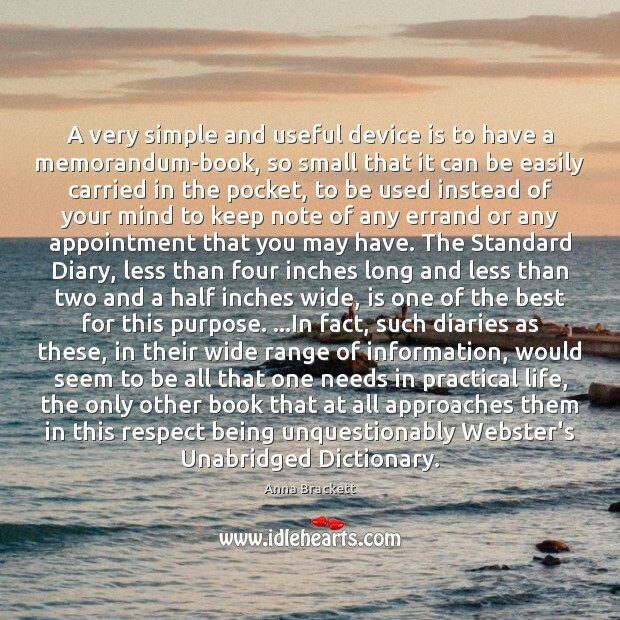 If you read only the best, you will have no need of reading the other books, because the latter are nothing but a rehash of the best and the oldest. 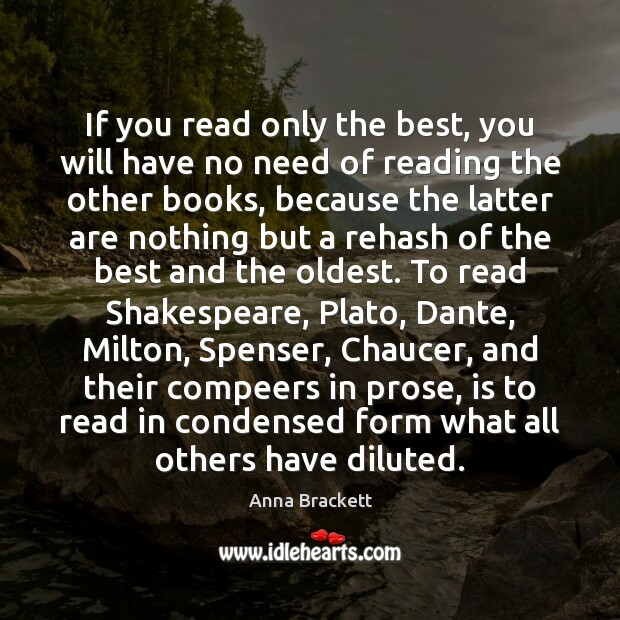 To read Shakespeare, Plato, Dante, Milton, Spenser, Chaucer, and their compeers in prose, is to read in condensed form what all others have diluted. 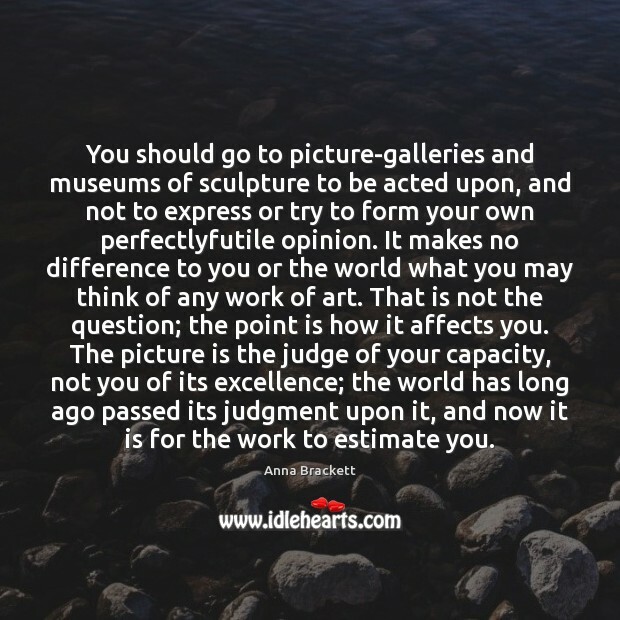 You should go to picture-galleries and museums of sculpture to be acted upon, and not to express or try to form your own perfectlyfutile opinion. It makes no difference to you or the world what you may think of any work of art. That is not the question; the point is how it affects you. The picture is the judge of your capacity, not you of its excellence; the world has long ago passed its judgment upon it, and now it is for the work to estimate you. When you are waiting for a train, don't keep perpetually looking to see if it is coming. The time of its arrival is the business of the conductor, not yours. It will not come any sooner for all your nervous glances and your impatient pacing, and you will save strength if you will keep quiet. 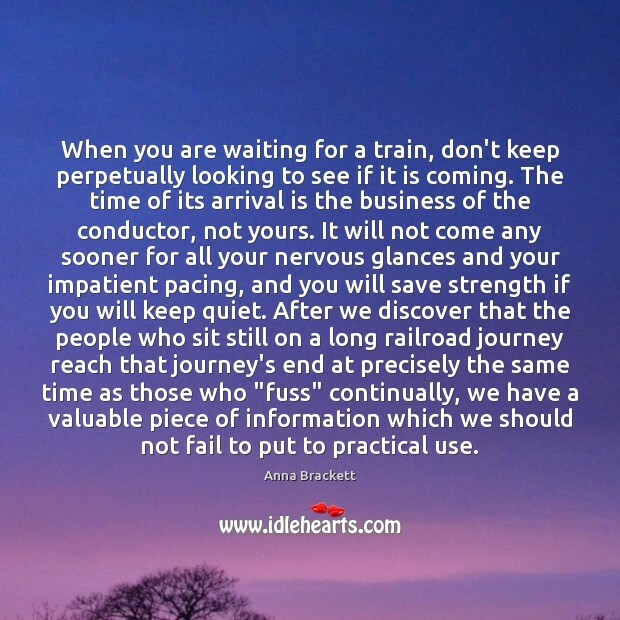 After we discover that the people who sit still on a long railroad journey reach that journey's end at precisely the same time as those who "fuss" continually, we have a valuable piece of information which we should not fail to put to practical use. 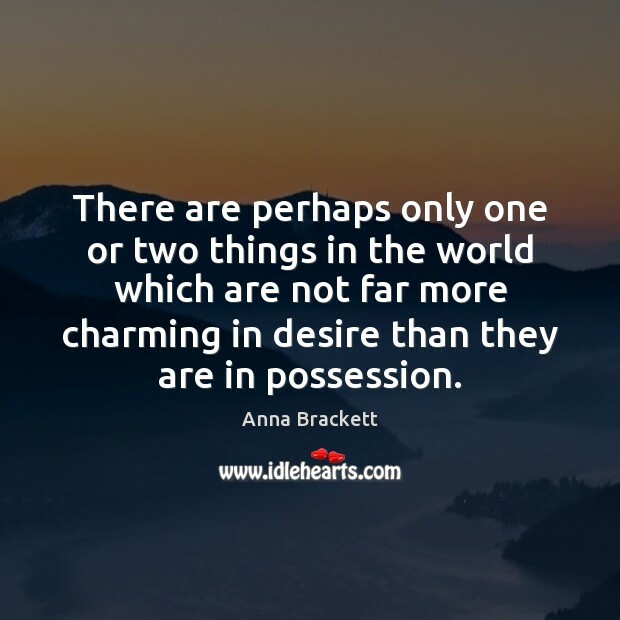 There are perhaps only one or two things in the world which are not far more charming in desire than they are in possession. 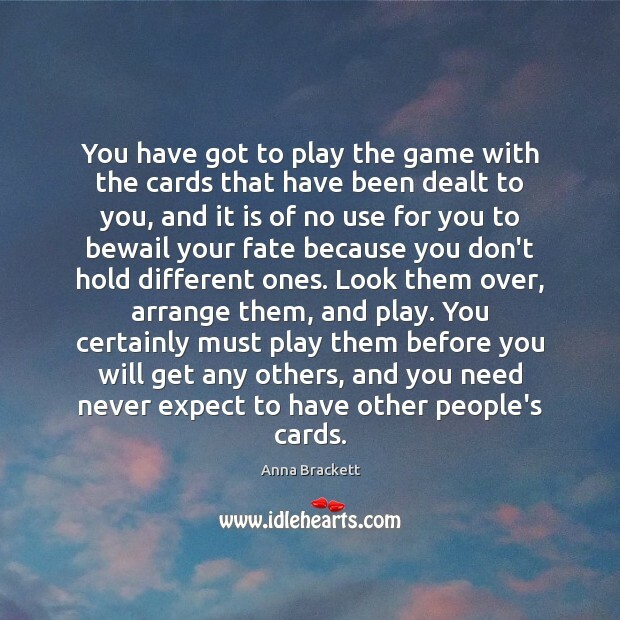 You have got to play the game with the cards that have been dealt to you, and it is of no use for you to bewail your fate because you don't hold different ones. Look them over, arrange them, and play. You certainly must play them before you will get any others, and you need never expect to have other people's cards. 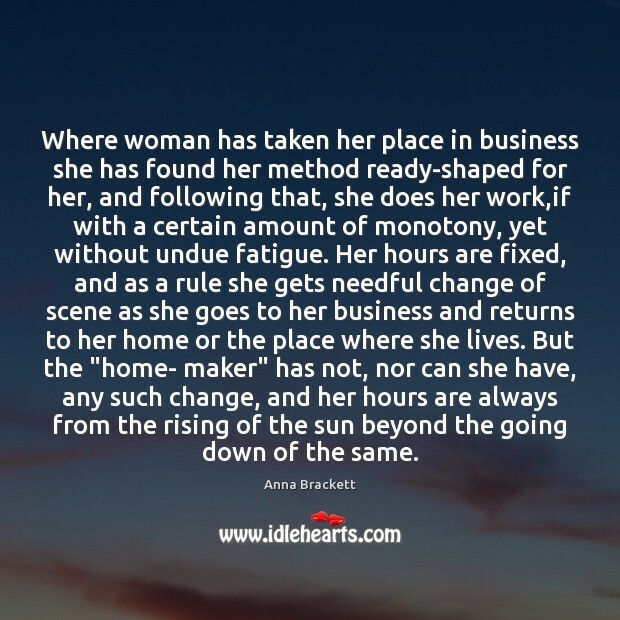 Where woman has taken her place in business she has found her method ready-shaped for her, and following that, she does her work,if with a certain amount of monotony, yet without undue fatigue. Her hours are fixed, and as a rule she gets needful change of scene as she goes to her business and returns to her home or the place where she lives. But the "home- maker" has not, nor can she have, any such change, and her hours are always from the rising of the sun beyond the going down of the same. 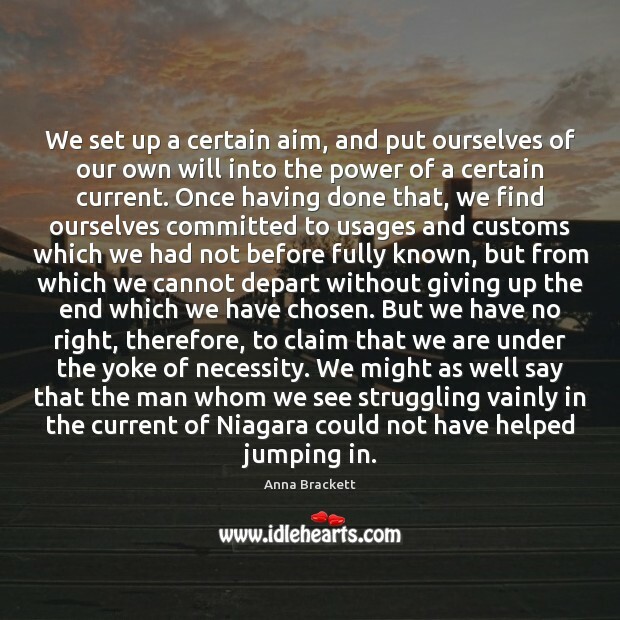 We set up a certain aim, and put ourselves of our own will into the power of a certain current. Once having done that, we find ourselves committed to usages and customs which we had not before fully known, but from which we cannot depart without giving up the end which we have chosen. But we have no right, therefore, to claim that we are under the yoke of necessity. We might as well say that the man whom we see struggling vainly in the current of Niagara could not have helped jumping in. 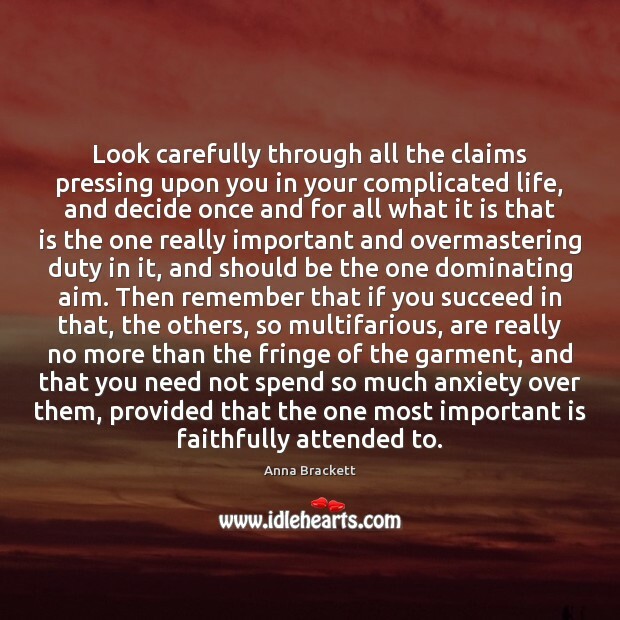 Look carefully through all the claims pressing upon you in your complicated life, and decide once and for all what it is that is the one really important and overmastering duty in it, and should be the one dominating aim. Then remember that if you succeed in that, the others, so multifarious, are really no more than the fringe of the garment, and that you need not spend so much anxiety over them, provided that the one most important is faithfully attended to. Only the flowing water is pure and sweet. Only the spinning top and the moving bicycle do not fall over. 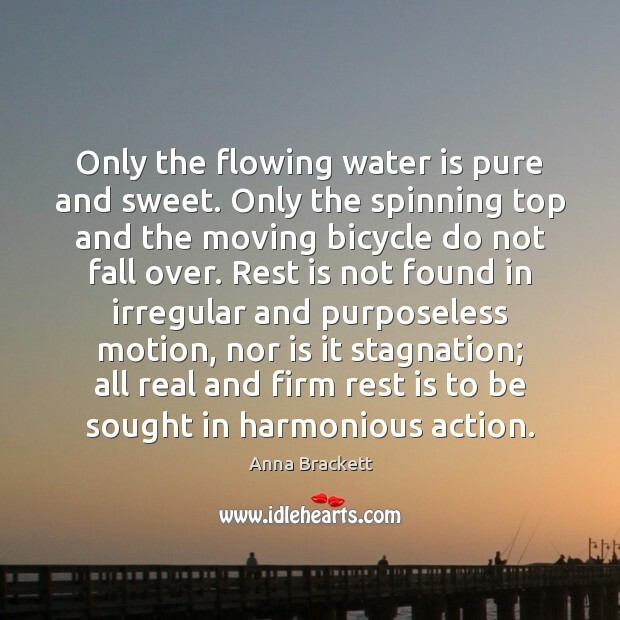 Rest is not found in irregular and purposeless motion, nor is it stagnation; all real and firm rest is to be sought in harmonious action. 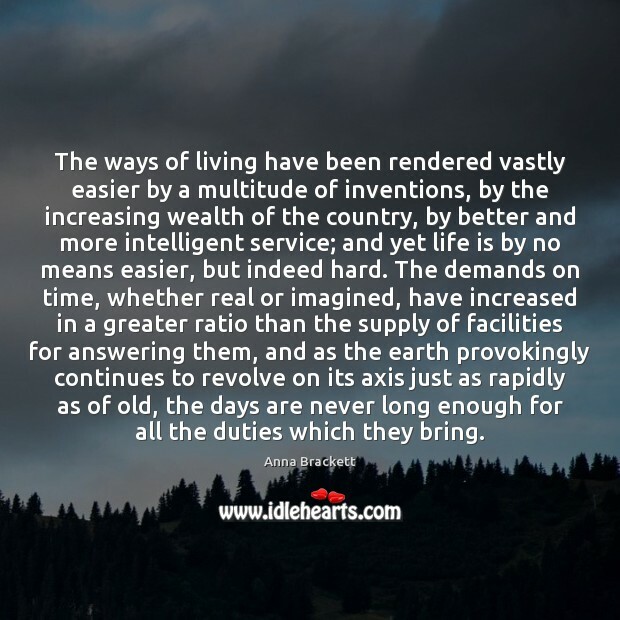 The ways of living have been rendered vastly easier by a multitude of inventions, by the increasing wealth of the country, by better and more intelligent service; and yet life is by no means easier, but indeed hard. The demands on time, whether real or imagined, have increased in a greater ratio than the supply of facilities for answering them, and as the earth provokingly continues to revolve on its axis just as rapidly as of old, the days are never long enough for all the duties which they bring. 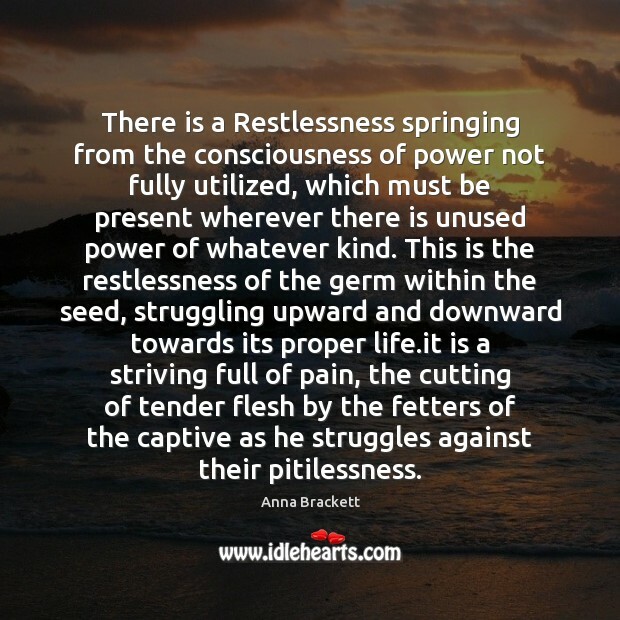 There is a Restlessness springing from the consciousness of power not fully utilized, which must be present wherever there is unused power of whatever kind. This is the restlessness of the germ within the seed, struggling upward and downward towards its proper life.it is a striving full of pain, the cutting of tender flesh by the fetters of the captive as he struggles against their pitilessness. 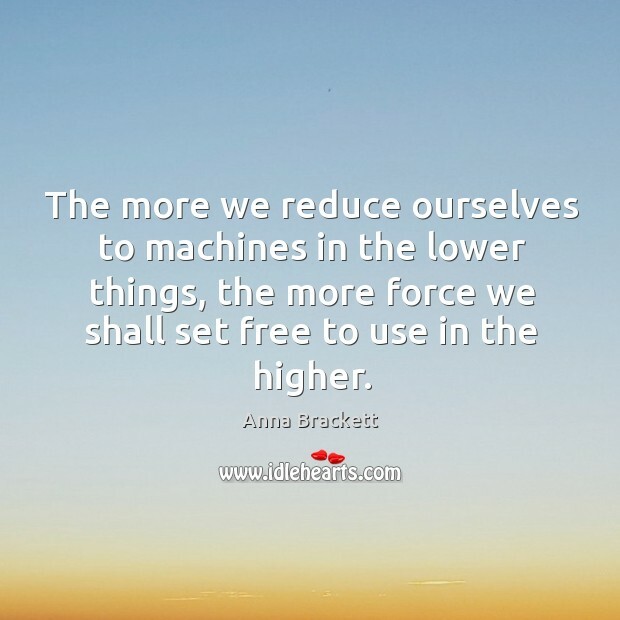 The more we reduce ourselves to machines in the lower things, the more force we shall set free to use in the higher. 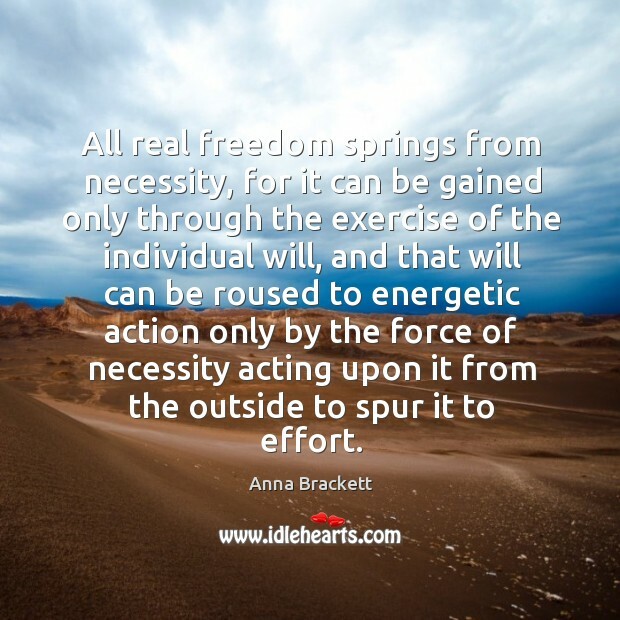 All real freedom springs from necessity, for it can be gained only through the exercise of the individual will, and that will can be roused to energetic action only by the force of necessity acting upon it from the outside to spur it to effort.